Who else is excited about the weekend? Weekends are probably the best times for manicures and pedicures. 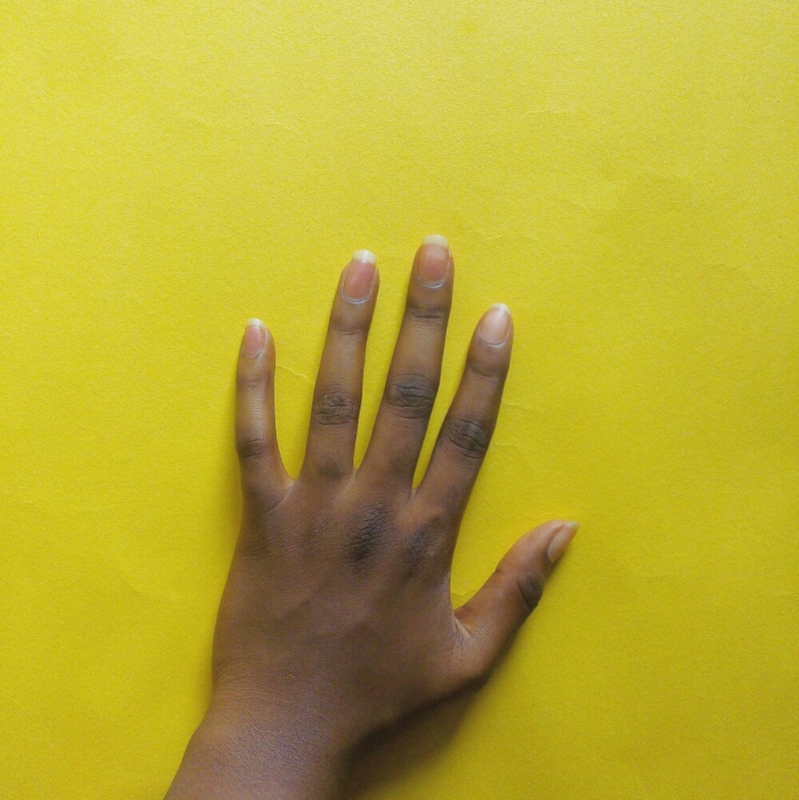 Here’s a quick review of a product you might find useful for your manicure/pedicure section. A friend gave me this lovelies, it was sent to her from either France, or UK or so(I can’t remember). I have used something similar to these some years back by a brand called Orise Avise from France too. Non drying, regular conditioning nail polish remover pads. It comes in a pack that contains 10 individually packed pieces of cotton pads, which are moist in nature. I like the way they are packaged individually, that way each cotton pads gets to retain it’s moisture. I must say, although the smell is quite strong, but it has a candy-like aftermath smell which i really like , as it takes off the strong alcoholic odor. These are my nails after cleaning. 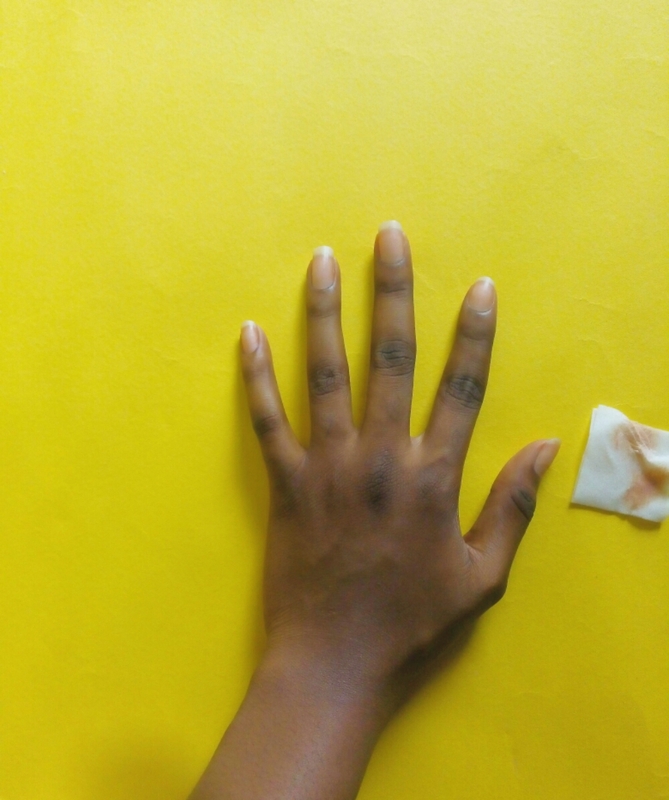 I used just one one cotton pad to clean all the fingers on one hand (already started using it before I took the pictures above), and from the cotton pad you can see that it could still accommodate some more nail polish. What I like most about this product is that, unlike a normal nail polish remover I can carry it around or even on a travel without worrying about the risk of it spilling on my clothes and things. • It is quite handy and easy to use. 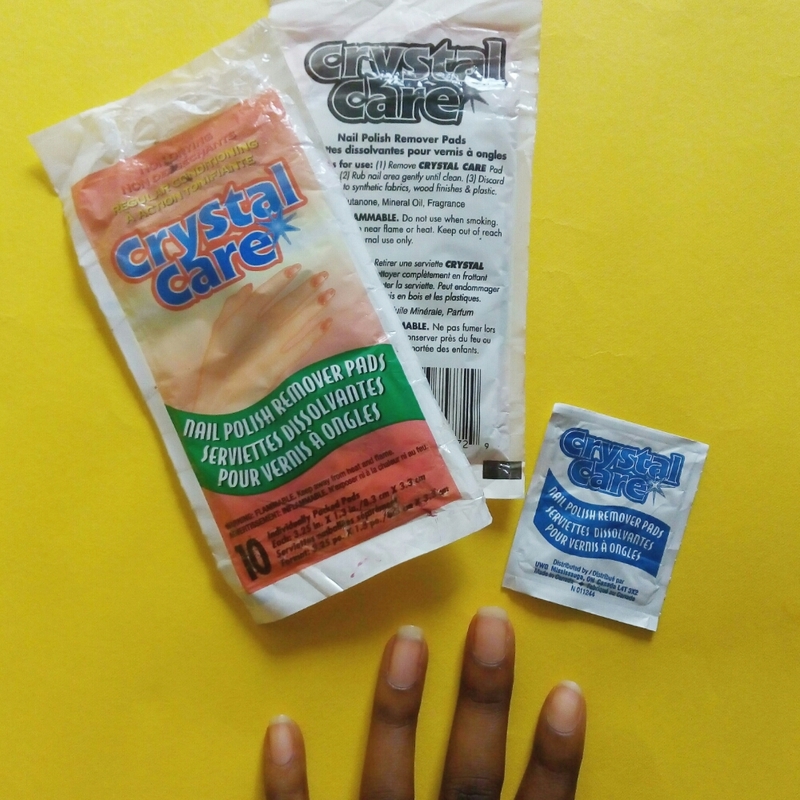 If you have an impromptu outing or errand, and you don’t want go out with your nails looking unpleasant, you can just slide one or two pieces inside your bag or pocket and use it in the car or so. • You don’t have to worry about spilling nail polish remover. • It leaves a nice candy-like odor on your nails and hand instead of the alcoholic odor. 1. It can be harmful to synthetic fabrics, plastics, etc just like every other nail polish remover. There are no other cons to this product, the only problem is that I don’t know about the availability in the Nigerian market. I really hope it’s available. (She gave me several packs, so I might be giving out a few). Best believe, you’d love it. I did not buy this one but if I get to see it, I’ll definitely buy it. This product is truth! What do you think of this product? Have you ever used it or something similar? Please do share your experience, I’m interested in your thoughts. Yes it is very mobile, I also hope its available here in Nigerian too. Will def look out in markets.